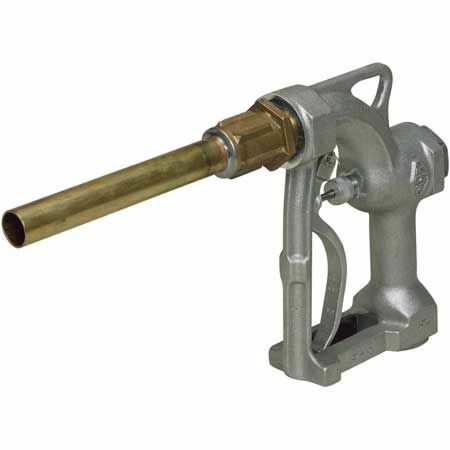 The EBW 410 fuel/oil delivery nozzle has hold-open notches and a lever pin bushing made of Nylafil, which resists wear much longer than metal and is not affected by temperature extremes. This is the most rugged nozzle available with a heavy duty body and increased wear lugs. Dashpot construction ensures smooth opening, shockproof closure and maximum flow. NOTE: Spout/Tubes not included in Sku 410-401-03 and must be ordered separately.